The Bank Rework Taster is here and while it delivers we taste the bitter and the sweet. Preparation for GameBlast and Double XP weekend, plus more thoughts on coal and the ethics of transferring GP between games. GameBlast ’18: Schedule & more! The Mining & Smithing beta is here and we have full coverage and suggestions on tweaks going forward. Also, revolutionary patch notes for puzzle boxes and special Slayer assignments. And a discussion on rule breaking and bans. The Giant Mimic has been added into game permanently by Mod Shauny, we talk about what defines taskmaster, and Dungeoneering has been made easier via depositing. 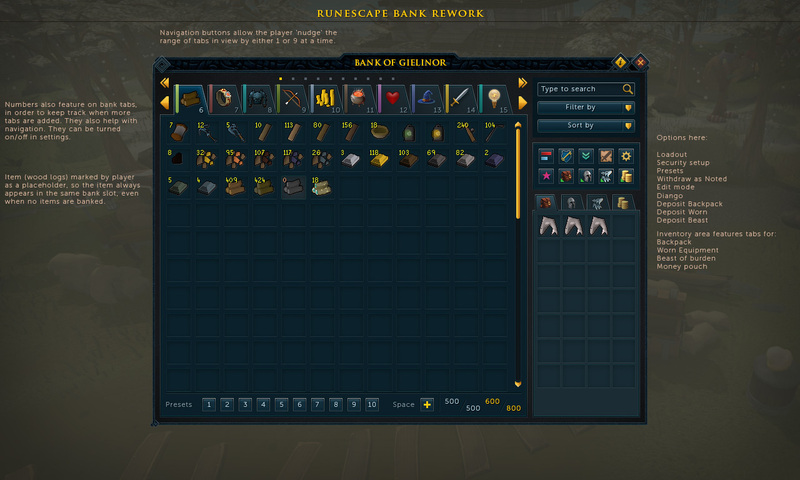 Also, the Mining & Smithing beta is insight and we talk about the Bank Rework once more. Replayability of Sliske’s Endgame arrives and we ask the same questions once more, will our answers be the same? Also more thoughts on the Bank Rework and combat action bars. As well as a discussion on programming.